“The entire issue is of monitoring now. We have passed an order long ago. That way NGT is a better body...the enforcement mechanism is with NGT now. The NGT Act provided for penalty and other penal provisions in case of non-compliance of the tribunal's orders”: Chief Justice J S Khehar. After 32 long years, a bench headed by Chief Justice J S Khehar told Mehta it was transferring the PIL to the National Green Tribunal which was already seized of related issues saying only that green body was capable of periodical monitoring of the matter. “For us, to monitor week after week, months after months it is difficult...it can go there (NGT) and if you have a problem you can come back to us”, it said. “The entire issue is of monitoring now. We have passed an order long ago. That way NGT is a better body...the enforcement mechanism is with NGT now. The NGT Act provided for penalty and other penal provisions in case of non-compliance of the tribunal's orders” CJI Khehar said. 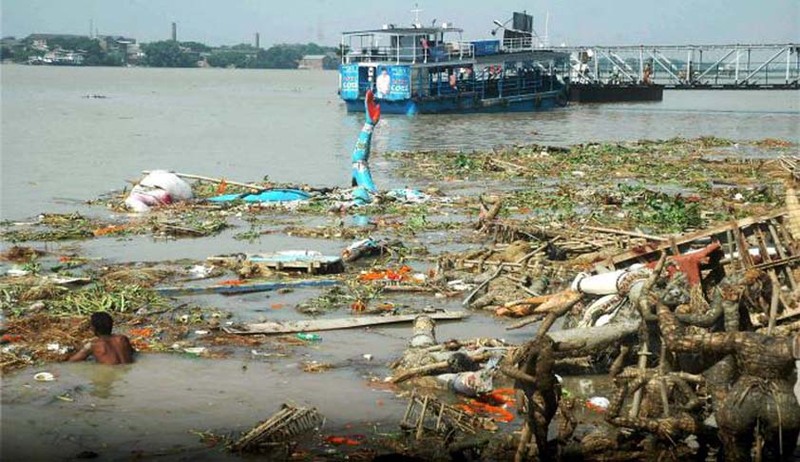 The court then passed an order: “The issue relating to the river development and Ganga rejuvenation including discharge of municipal waste and industrial waste is already being heard by the NGT. Therefore we transfer the instant petition to the tribunal and the entire proceedings pertaining to the cleaning of the river shall be placed before the NGT”. On January 17 however the bench had sought a status report from the centre on the steps taken to set up sewage treatment plants along the banks of the holy river.